Today we got to see the sights of Geneva with Simon from Geneva Greeters. 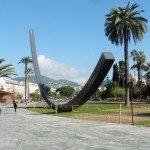 We met up at Place de Bel Air where on the side of the nearby clock tower a plaque records that in AD 58 Julius Caesar fought the Helvetii in the Battle of the Saône. Some of Switzerland’s original people were a tribe named Helvetii, who were Gauls. They came into conflict when they crossed through the Roman territory and attempted to cross the bridge where the tower is today. 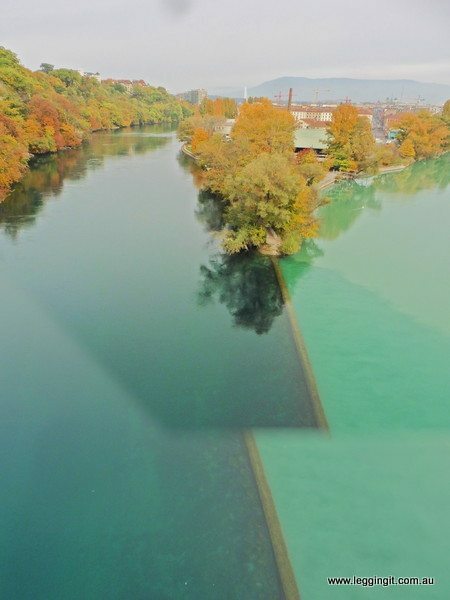 The Romans dismantled the bridge to prevent them to cross which made them seek an alternative route. This route took them through Aedui tribal land which they pillaged. Aedui was an ally of Rome so asked for protection and eventually the Roman Army defeated the Helvetii. As part of the peace treaty Caesar sent the Helvetii back to their homelands to protect the frontier against the Germans. Today 0.5 % of the population still speak Rumantsch, a Gallo-Roman language similar to Latin. It’s one of the four official languages of the country alongside German, French , and Italian. These days locals have stickers with CH on their cars, which is Confoederatio Helvetica, the country’s Neo-Latin name, derived from the Roman name for the Helvetii. Now it all makes sense after seeing all the CH stickers on cars. It isn’t Chinese drivers who’ve taken a wrong turn in the smog of Beijing and are terribly lost after all. Our travels took us to the Monument to the Reformation at Parc Des Bastions in the grounds of the University of Geneva, founded by John Calvin. It was built to commemorate the 400th anniversary of Calvin’s birth and the 350th anniversary of the university’s establishment. 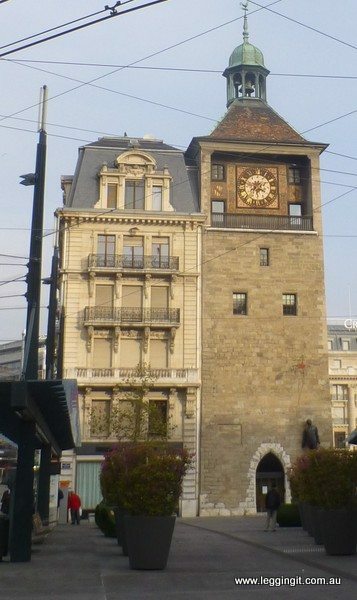 During the Reformation, Geneva was the centre of Calvinism, and the history of Geneva during the 16th century is closely linked. 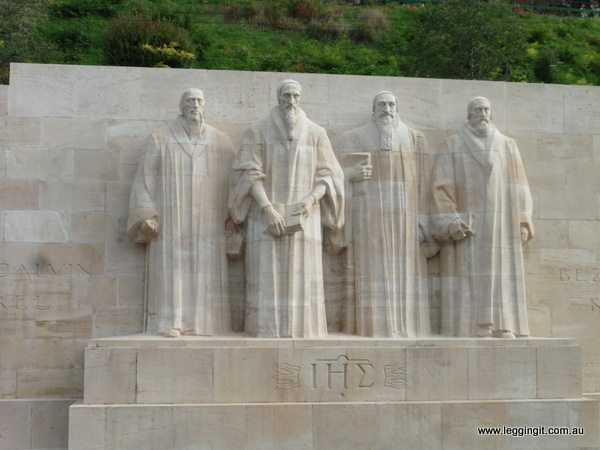 The monument which is built into the old city walls feature four 5 m-tall statues of Theodore Beza, John Calvin, William Farel, and John Knox. The four main leaders of Protestantism linked to the city. On either side are the smaller statues of other key protestant leaders William the Silent, Gaspard de Coligny, Frederick William of Brandenburg, Roger Williams, Oliver Cromwell and Stephen Bocskay. Genevas motto which is also the motto of the Reformation is carved into the walls, Post Tenebras Lux (Latin for After darkness, light). 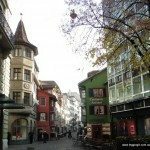 The conversion of Switzerland from Catholicism in the 16th century was pretty bloody and almost absolute, however these days Catholicism is the main religion practiced. 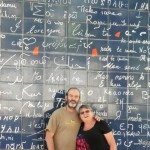 As we crossed the road we climbed the hill which was part of the old battlements and stopped to take a rest on the Longest bench seat in the world in La Trielle square. 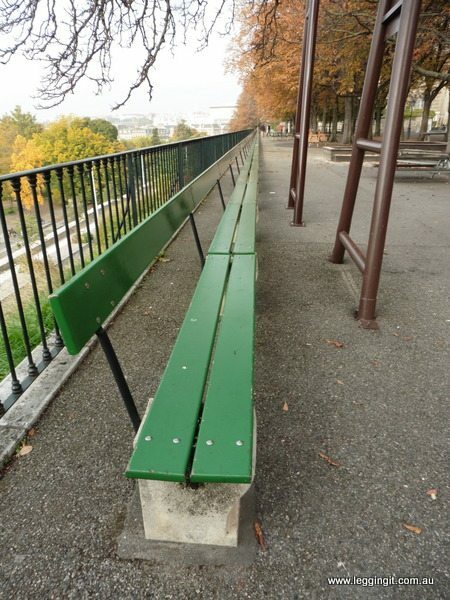 There’s no hassle to find a spot on it as it’s over 120 metres long with great views overlooking Parc De Bastion and the city beyond it. 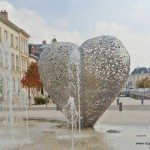 The square is behind the Hotel De Ville, the square is filled with lovely Chestnut trees and would be the perfect place for a picnic. The old part of the city has remained intact and St Pierre Cathedral is the focal point. The current cathedral dates from around 1160 and is a strange mixture of Romanesque and Gothic styles which reflect the 100 years it took to build. The strangest part is the Neo-Classical main facade at the front from the 18th century. In the small museum nearby a film traces the development of the city and on the top floor a model of the old city. Theres also the Art and History Museum which displays fine art from artists such as Konrad Witz, Rembrandt, Cézanne, Modigliani, Rodin, Jean-Étienne Liotard, Ferdinand Hodler, Félix Vallotton, Jean-Baptiste-Camille Corot and there’s even a Van Goch. We took a break for lunch at Chez Ma Cousine in the old town enjoying some lovely roasted chicken. The restaurant was absolutely packed to the rafters with patrons so it was a great choice. Food in restaurant in Geneva is very expensive one place we looked at worked out to $33 Aus (23 Francs) for an English breakfast aaarrrggh. This was 15 francs ($21 Aus) per serve of half a chicken, sauteed potatoes and salad so not tee bad. We really needed a good lunch because we had lots of walking to do. 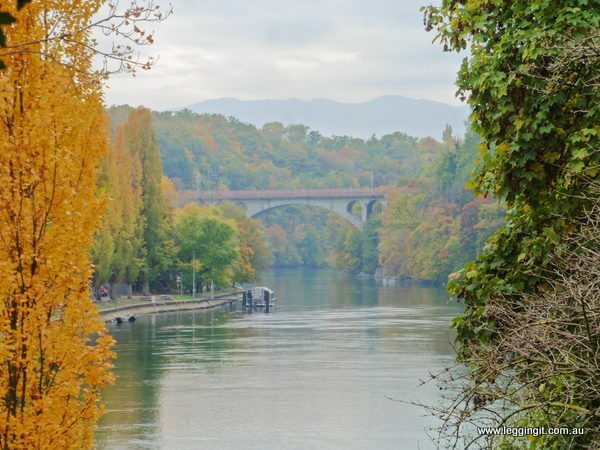 We wandered down to the lakeside and learned that it was in Geneva that Mary Shelley wrote her classic novel, Frankenstein whilst holidaying with Lord Byron. 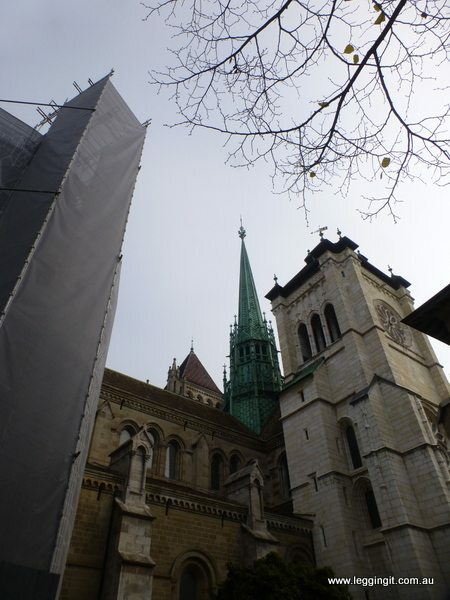 Many of the locations in the book are around Geneva, which came as a surprise to us. 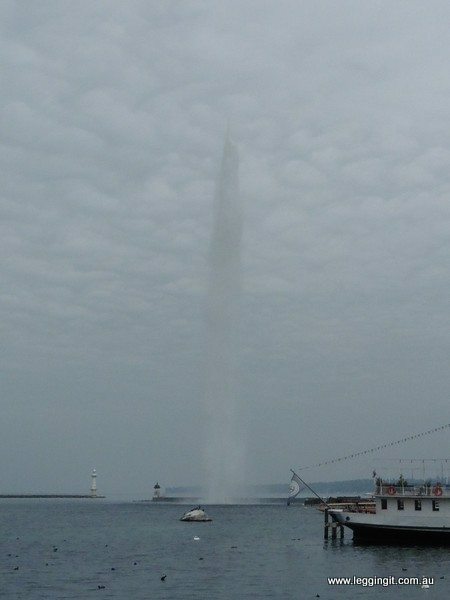 Down on the lake the Jet D’eau or the water jet is one of Genevas most visible attractions. The water fountain fires 500 litres of water 140 metres in the air every second. Athough the weather was quite hazy we caught the Ferry across the lake which gave us a better perspective of just how high the water actually flies into the air. It’s phenomenal. 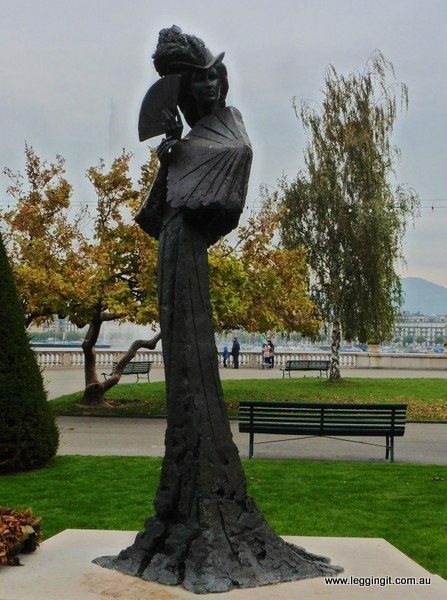 Along the shores of lake Geneva is the slender statue of “Sisi”, Elisabeth, Empress of Austria, Queen of Hungary Queen consort of Croatia and Bohemia and the wife of Emperor Franz Joseph I. She was stabbed to death in 1898, by an Italian anarchist named Luigi Lucheni. Unfortunately for her he had missed his chance to assassinate Prince Philippe, Duke of Orléans, and wanted to kill the next member of royalty that he saw. Unfortunately for her although she was travelling incognito the newspapers recognised her and reported that she was at the Beau-Rivage Hotel. Simone then took us out by tram to visit the United Nations Building and the UNHCR. Outside the UN Building is an interesting sculpture, Broken Chair. 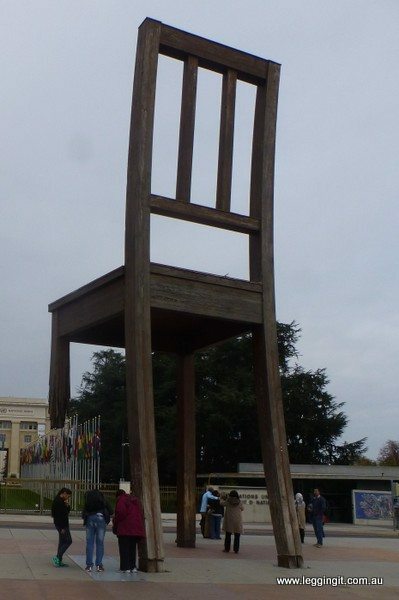 The 18 metre high chair has only three legs which symbolise opposition to land mines and cluster bombs. 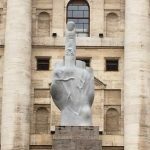 It acts as a reminder to all the visiting politicians to the UN building. Returning to the city we took a walk along the river through parklands that are so close to the city yet make you feel miles away. 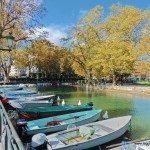 Two rivers join not far from the city with clear lake water flowing from the L’Arve and cloudy water from the Rhone. There’s an amazing visual effect where they join. On the opposite side of the river is more parkland, the Bois De La Bâtie. An estate donated by a family for public use. A small zoo houses a petting zoo for kids, and some of the local animals. Marmots, red deer, alpine Ibex (with massive horns), and wild pigs including Swiss wild boar and Mangalitza Pigs (wooly pigs a very strange sight indeed). Very feet sore by the time we reached the city centre again we thanked Simon for a great tour and looked forward to our next Greeters experience. 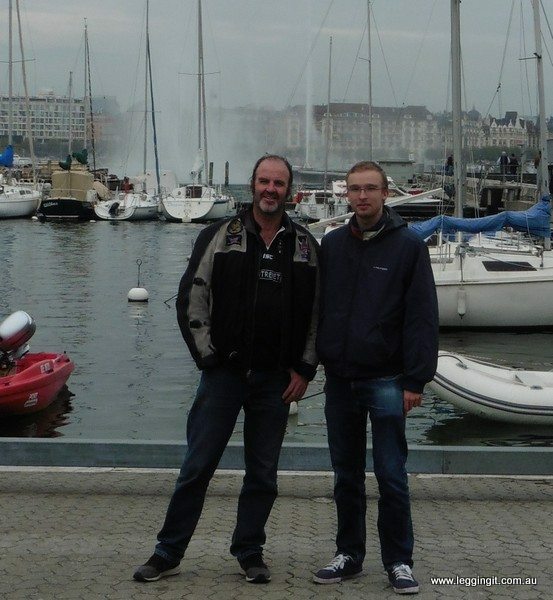 If you would like to book a greeters tour for Geneva you can contact them here.